→Massage Chair Vs. Massage Therapist: Which Is Better? At one point, the only way that one could get a massage treatment was by visiting a spa or a professional massage therapist. However, the emergence of specialized massage chairs has been a real game changer. 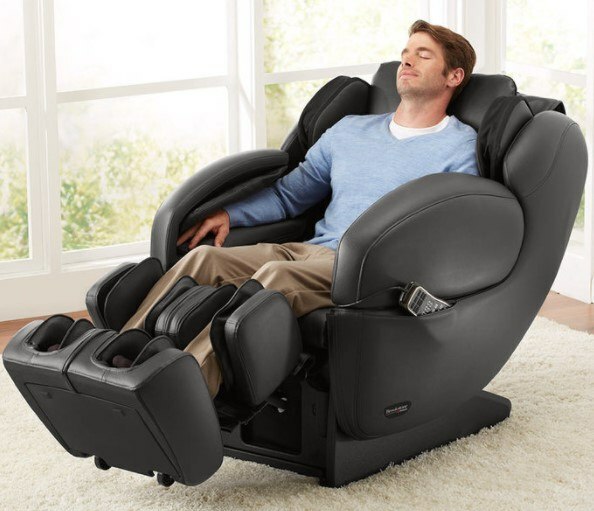 Some advanced massage chairs have been created to replicate a massage therapist’s services. You’ll be amazed at how close to the real experience that some of these units can get. Although mechanically operated, some massage chairs have gained approval from several health organizations including the American Massage Therapy Association, the FDA, and the American Chiropractic Association (ACA). However, there are a few questions that remain. Can massage therapy given by a human really be compared to a robotic chair massage? What factors differentiate the two? This is one of those things that technology has not been able to replicate through massage chairs. It’s also the reason why most health experts will recommend a visit to a massage therapist rather than sitting in a massage chair. Have you ever wondered why soothingly touching a painful joint or muscle gives you such a great sense of relief? Or do you ever feel your stress fading away from just a simple hug? According to Brigham Young University, when you’re touched, these nerve endings send a feeling of comfort, security, and happiness to the brain. In return, your brain reduces the release of stress hormones and increases the levels of oxytocin, a hormone known to reduce stress. The reason behind this is the healing power derived from human touch. Touch is perhaps the most developed sense in human beings. Numerous nerve endings run from your skin to the brain. ​Basic massage chairs use a simple vibrating element (usually a device with a weighted wheel) to create a soothing sensation. Other units use water or airbags to relieve tension and stress from your muscles and joints. The latest technology has created some advanced models that employ complex mechanisms, including the use of rollers. In fact, some have mechanical arms that move the rollers horizontally and vertically and even in circles. While a massage chair can make similar movements to a therapist’s hands, can it substitute for an actual massage? Not really. This point takes us to our next difference. While a massage chair can be programmed to deliver a close similarity to an actual massage, a satisfying massage therapy session is all about feeling connected. The sense that you’re being touched by a professional triggers a sense of healing and relaxation. This human connection isn’t possible when you’re sitting in a massage chair and may greatly reduce the healing effect or atleast the relaxation feelings. What’s even more compelling about a human-powered massage is that you can get professionally customized kneads and knocks exactly where you need them. Sure, most of the chairs have programs that alternate the intensity and location of the massage. However, they will always just be a piece of technology and can only do what they have been programmed to do, nothing more! For instance, there are times that you’ll wish that the kneads were deeper than the chair can offer at its highest setting or a bit softer on some parts. On the other hand, a massage therapist never runs out of ideas and are not tied to a series of programs. What’s even more compelling is that they deliver their services based on the client’s response. Experienced massage therapists can give you advice depending on your needs and conditions. This results in a more fulfilling session. 4. Are You Looking for Consistency? This is one area that electric massage chairs beat massage therapists in. Human massage is a performance produced from one person to another. As is always the case with services, it is rare to find a therapist who offers consistent quality massages all the time. The differences may be due to many factors, such as fatigue on the side of the massage therapist and high expectations from the consumer. The differences in quality may also be noticeable if you get the services from different massage therapists. Meanwhile, massage chairs are programmed to deliver consistent therapies. Another great feature about them is that they don’t get tired. In fact, some massage chairs are designed to remember what settings you prefer. This means that you’ll always get the same services that you got last time unless you make new changes. How often you require (or want) a massage also dictates what options you should consider. If you’re trying to manage pain caused by a migraine, sciatica, an injury, or surgery (although not all injuries and surgeries can be healed by this), weekly massage therapies are advisable. However, this also depends on how you feel. There are times when regular massages throughout the week might be called for. If you have a massage chair at your home or office, getting a massage as often as you want may not be a problem, unlike a massage therapist where you’ll always have to book an appointment and drive to the wellness center. This could become a problem if you always have a busy schedule. This is a big one! If you’re seeking the services of a massage therapist, you’ll only enjoy them if you’re fine with the idea of showing your almost naked body to a stranger. However, this could be a major problem if you’re not comfortable with being undressed in front of strangers. It might even seem a little strange to give them access to your entire body and this could prevent you from fully enjoying the massage session. If you fall into this category, getting a massage chair might be the best option for you. This is because you don’t have to undress to get a massage. This is the biggest deterrent to a massage. You’ll have to part with a considerable amount of money regardless of if you decide to purchase the massage chair or to visit the spa when you need a massage. -> Check out What is a therapeutic massage? At a glance, massage chairs appear to be very expensive. A basic unit with simple features may cost you up to $500. Advanced models with near-human services may cause a dent of up to $8,000 in your bank account. On the other hand, most spas and massage therapists charge around $70 to $200 per hour. Let’s assume that you are faced with the option to buy either a $5,000 chair (with a 4-year warranty) or pay $80 per hour for a massage. Assuming that you’re someone who wants to enjoy a massage two times a week, you’ll be parting with $160 weekly. If you faithfully go to your weekly massage for 4 years, you’ll have spent $16,640. This means less fuel, drinks, oils, and tips at the spa. On the other hand, the massage chair will offer you 416 massage sessions for 4 years. This number is found by if you have two sessions a week for every week of the year for four years. Overall, this shows that you’ll be spending approximately $12 for each session and $24 per week. Another thing worth mentioning is that most massage chairs accommodate users with different weights and shapes. Assuming that two people use the chair two times a week, each of you will be getting a good massage at around $6. However, you’ll be out of luck if the chair breaks down before paying for itself. Having identified the differences between these two options it leads us to the question of which is better? As you might have realized, each option has its pros and cons. The best part about a massage therapist is that you benefit from the healing power associated with human touch and advice. Again, unlike a massage chair, it’s easier to tell the expert what technique works and what doesn’t. Moreover, the massage therapist isn’t limited to a number of built-in programs! Unfortunately, getting these services from a professional may be pretty expensive in terms of time and money. There’s also the issue of being undressed in front of people. 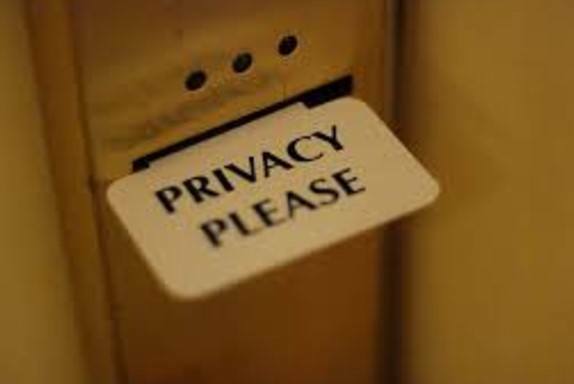 However, a massage chair is always available, has a lot of privacy, and is consistent. On the downside, it can be expensive to acquire and lacks human touch. It also has limited massage coverage and features (even of the latest models). The choice that’s good for you depends on your needs and budget. But who said that you can’t own a massage chair and book an appointment with a massage therapist any time you want a professional session.